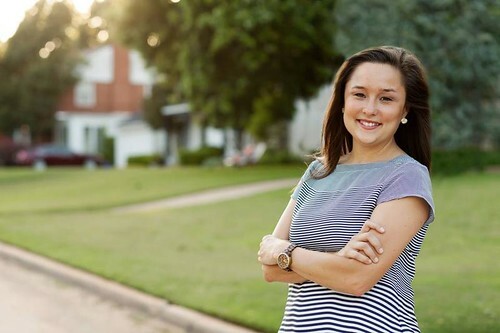 Let me join in the chorus of accolades for Democrat Cyndi Munson, who won Tuesday’s special election for the House District 85 seat in northwest Oklahoma City. Munson, 30, who formerly worked for Girl Scouts of Western Oklahoma, beat Republican Chip Carter in a 2,640 to 2,268 vote, or by a total of 372 votes or with 54 percent of the vote, which comes to, in media parlance, an eight-point victory. The numbers here are important, as I will point out later, but there’s no doubt this is an exciting victory for Munson and Democrats because the HD 85 seat, last held by David Dank, had been GOP-safe for more than 50 years. It was even a seat once held by Republican Gov. Mary Fallin. Munson knocked on a lot of doors for this victory, and it paid off for her and Democrats. What’s more, Munson was outspent by Carter, who raised some $200,000 in campaign money compared to Munson, who raised less than $100,000. Carter also received endorsements from big name Republicans, such as Fallin, U.S Sens. James Lankford and Jim Inhofe and, more importantly perhaps on a local level, Oklahoma City Mayor Mick Cornett. All these facts created an immediate Democratic narrative that changing demographics and perhaps changing social-issue attitudes, especially in urban areas, might be shaking up the political landscape here like all these manmade earthquakes in central Oklahoma. I hope so. It may be too early, however, to conclude this. This was a special election to fill a recently deceased legislator’s seat, and Munson, if she chooses to do so, will have to run again in the 2016 general election in which the country will be choosing a new president. Republicans will be even better prepared to win the seat now that they lost it. Yet GOP voter turnout could well hinge on who will be the Republican nominee for president. Who knows? The Republican narrative was simply that Republicans thought the election was in the bag and that GOP voter complacency-it was after all just a 372-vote margin-contributed to Carter’s defeat. Carter also had to participate in a primary election to get on the final ballot. Munson didn’t. So the Republican excuses went on Tuesday night. I do think this election will make GOP political operatives pay more attention to the demographic issues and arguments made by Democrats on a local level here in the Oklahoma City area. But it’s important to look at some numbers before we jump to any conclusions. According to Ballotpedia, the House District 85 election in 2008, an presidential election year, drew 17,194 total voters. Since then voter turnout has declined as it has throughout Oklahoma. In 2010, the race drew 12,786 voters. Dank ran unopposed in 2012. In 2014, Munson ran for the seat the first time, and the election drew 11,770 voters. In that 2014 election, Dank beat Munson by 6,635 to 5,135 or by about a 13-point margin. Dank had name recognition, which helped him immensely, but Munson’s vote total in that election can only be ranked as average-okay maybe a bit above average given the circumstances-for a Democrat in a Republican stronghold in a metropolitan area. On Tuesday, a total of 4,908 people voted in the HD 85 special election, less than half of the 2014 total. So the obvious question, just when it comes to numbers, is whether the lower voter turnout in the special election was the principal reason for Munson’s election. That challenges the overarching Democratic narrative about change, but it doesn’t render it invalid. Knowing this about the numbers, another question is whether Munson will eventually come to believe she will have to shift to more conservative positions on some issues in order to win as an incumbent in 2016 when there should be a much higher voter turnout. Some of her supporters are calling Munson a “feminist,” and I hope she is, but I couldn’t find anything on her campaign site or on the Internet in which Munson talks about the right to an abortion and reproductive rights for women, the cornerstone of female empowerment. I will gladly correct this if I’ve overlooked something. In any event, it certainly doesn’t seem like supporting reproductive rights for women was a major part of her campaign strategy. But what, for example, will be her votes on anything having to do with the propaganda attacks on the women’s health organization Planned Parenthood and reproductive rights for women, issues that national and most likely local Republicans at the state level are going to use to pander to social conservative voters in the coming weeks and perhaps months? I do know that the national Girl Scouts have specifically distanced themselves from both Planned Parenthood and the issue of reproductive rights. That, of course, doesn’t mean Munson will do the same or that it will matter much in the larger debate if she does. I’m not suggesting here that Munson doesn’t have core progressive values, or that her victory isn’t significant, but with only 30 seats now in the 101-member House, there’s still not much Democrats can do without Republican support, which I bet will not be forthcoming in any significant way. Supporting reproductive rights and the right to an abortion for women and supporting sensible immigration laws rather than drastic deportation of families have long created a dilemma for progressives in Oklahoma when it comes to getting elected to political office. I don’t see that changing much over the next year. Right now, it looks like Oklahoma will face a major shortfall up to $1.2 billion in an annual budget that has been averaging about $7 billion in recent years. That could reduce education funding even more. How are teachers going to get raises in that type of financial environment? How crowded can our classrooms get? A budget shortfall, again, is shaping up to be the legislature’s REAL main issue for next year’s session. That could change, of course, because of the flux of taxes and economic development created by the boom and bust cycle of the oil and gas industry here, but it doesn’t look good, and Republicans will still be firmly in control.